With the changing work landscape, the employees’ security has also been identified as a crucial need. CCTV cameras in the workplace are installed to keep an eye on everyone that enters and leaves the office. It is also used to keep a check on the employees. S K Biometrics, a trusted CCTV camera dealer in Noida, has been helping many offices in establishing a safe working environment for the people working there. If you are looking for a high-quality CCTV in Noida then you are at the right place. S K Biometric offers surveillance devices that are made using innovative techniques and cutting-edge technology to meet the modern day security requirements. Unlike other CCTV cameras, our products have full HD quality camera installed in them that facilitates the capturing of clear pictures with ease. You can even keep an eye on what is happening in your office premises even when you are not there, by connecting the camera to your phone with a software. All the CCTV cameras’ and other surveillance products offered by us are made using patented technology. S K Biometrics has a team of talented and certified professionals who work effortlessly to make our products the best in the industry. 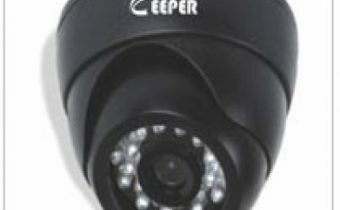 We are also included in the list of the best and reliable CCTV camera dealers in Ghaziabad and Noida. 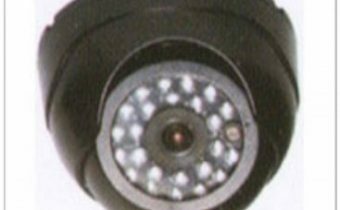 We are the renowned CCTV camera dealers in Noida known primarily for offering quality surveillance products that are both affordable and durable. Our CCTV cameras are easily installable and are just perfect for an up-scaled monitoring. Most of the organizations including hospitals, commercial places, police stations, schools, and others use our CCTV camera to keep their organization safe. We offer an extensive range of surveillance products that are sure to match your requirements. Apart from being affordable, our CCTV cameras’ are both smart and precise. We also offer extended customer support to help our clients, so that they can continue taking the benefit of our surveillance products. Manufacturing, Retail, Automobile, Construction, and all the other industries require quality CCTV cameras for their site and commercial complex. The best part of our CCTV cameras is that you don’t have to be present in the office to monitor the activities of your employees or anyone who enters your office. It can easily be done from any place. You can see the live CCTV footage on your mobile phone, tablet, and any other compatible device. You can get three CCTV models from our end that has been specifically designed to meet the various needs of different organizations. If you want to know more about the above-mentioned CCTV models then get in touch with our team today! You can also clear your query from them if you have any. S K Biometrics is included in the list of the best CCTV camera dealers in Ghaziabad, so you can rest assured of our quality CCTV cameras. We also provide CCTV in Faridabad, Ahmedabad, and other areas in close proximity to these places, so you can contact us for getting some of the best and high-quality CCTV cameras from us. Why Choose S K Biometrics? You can get in touch with us if you want to know about our surveillance products in details.